The Grammy’s are inexplicable. They positively adore artists like Mumford & Sons, Tony Bennett, and U2, but for some reason they tend to shy away from Linkin Park, Madonna, and (lately) Taylor Swift. Ah, why not throw Beyonce’s name into the mix on this last list for good measure? In 2009 she lost the video award to the aforementioned Miss Swift, and just this past week she got crushed by Beck in the album of the year category. 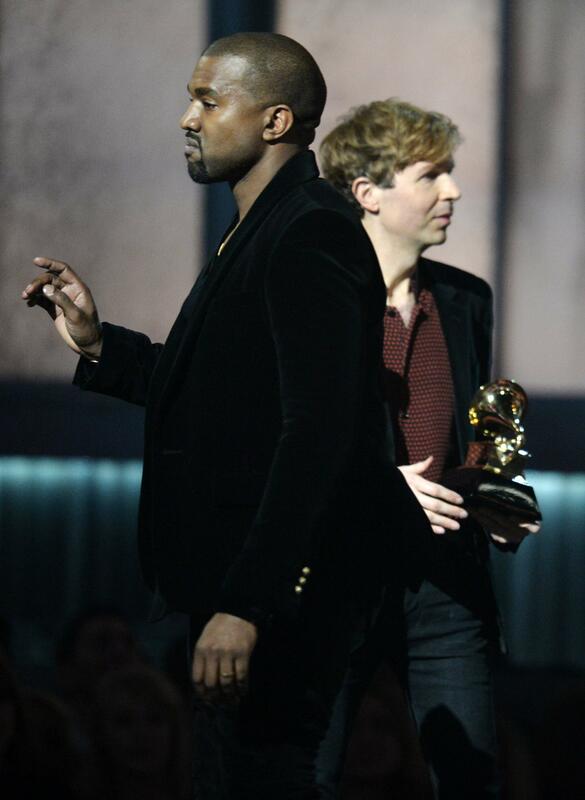 Even Beck was surprised, but the one guest at the awards show most surprised was Kanye West. Now, this is the very same Kanye West who had performed twice on the show prior to that point, the same Mr. West who already owns 21 of those little grammophone statues. He jumped the stage — eerily reminiscent of his 2009 interruption of Taylor Swift’s acceptance speech — when Beck won the prestigious award, waved his hand to the crowd, smiled his awkward smile, and exited. Give Beck some credit, after Kanye left the stage he asked him to come back up. At least he recognizes artistic genius in others, even if they aren’t in his genre. And yes, Kanye West is an artistic genius. Get him a “pen and a pad,” like LL said, and he can write some lyrical masterpieces. But the man has a serious crush on Beyonce’s music to the exclusion of all others, it seems, as evidenced by his stage jumps in both 2009 and this year. Apparently he learned absolutely nothing about etiquette and gracious behavior in the intervening years. Obviously he still has some issues to work through on his therapist’s couch, and if he doesn’t have a therapist he needs to get one right away, because his own music could paint a picture of self-absorption and feeling injustice in the world. Did I mention the man has 21 Grammy’s? Hmmmm. What he did (twice now) is the epitome of acting reckless, of abusing his fame to try and make a statement in the wrong forum, and with the wrong basis. He claimed that Beyonce’s record was hands-down better music than Beck’s, and that’s comparing apples and oranges. 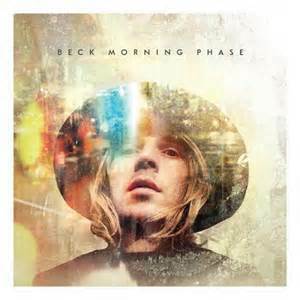 What Beck does is such a completely different process, geared toward a vastly different sonic resonance than Queen B’s. 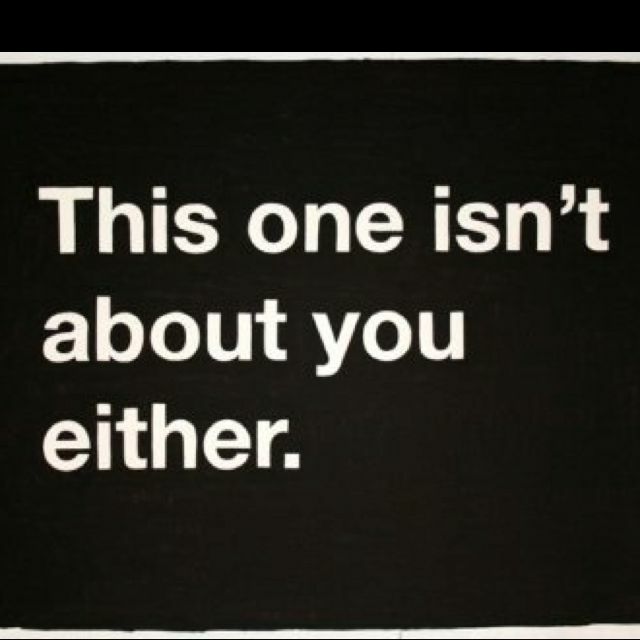 How can you honestly compare the two? Maybe that’s the real problem here, that both of their albums (and the other three up for the award) are just so diverse how can you honestly say that one is “better” than the others? Yet, the Academy did just that by awarding Beck the trophy, and Kanye did the same thing by storming the stage and by ranting after the show about how he might just boycott future shows if Beyonce doesn’t get her just desserts. Good riddance, Mr. West. I will still listen to your music, but I don’t want to be subject to your whims, your rude behavior, and your speaking out of turn. Of course, though, I do realize that writing this in this forum does absolutely nothing to fix what’s obviously broken, except to add my voice to the many who have also spoken out against the kind of behavior espoused by ‘Ye. You really can’t tell him nothing.